Certain foods — “hyperpalatable foods” — particularly processed foods that are high in sugar, salt and fat can be addictive, say scientists. Some scientists have suggest that the proliferation of such foods have fostered food addictions and may partially explain unprecedented rates of obesity and metabolic disease. Food addiction is still a controversial concept in the scientific community. But researchers find strong evidence that certain foods can trigger binging, craving and withdrawal, responses that are similar to those produced by addictive substances like alcohol, cocaine and tobacco. 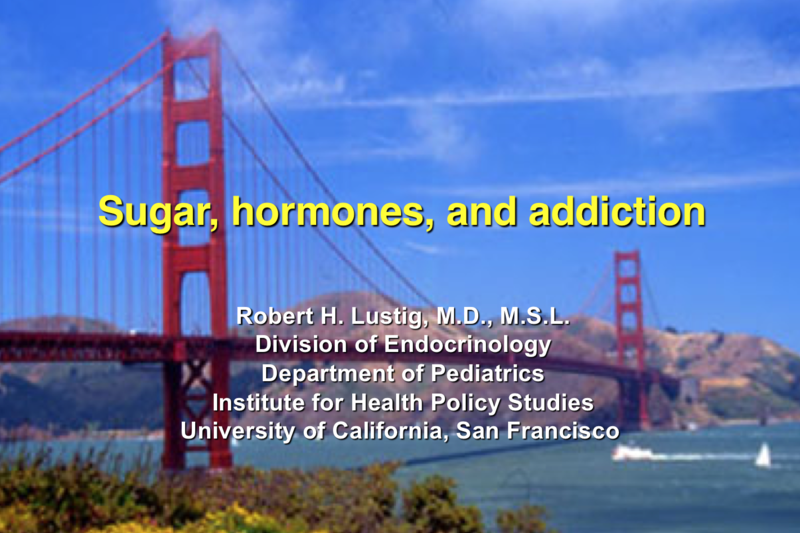 Here, Dr. Lustig shares his perspectives and resources on the subject of food addiction. Treating any kind of addiction is difficult once the brain’s limbic system becomes so damaged that dopamine no longer generates reward. The best solution is to prevent addiction in the first place, and in the case of sugary processed foods, that means marketing truth to consumers. Read more. The Food Addiction Institute (FAI) is an independent, non-profit organization whose mission is to support food addicts. Want to understand the fundamentals of addiction in our society? Then read Dr. Lustig’s book The Hacking of the American Mind. Here is a half-hour interview of Dr. Lustig about his book and the key topics in it.